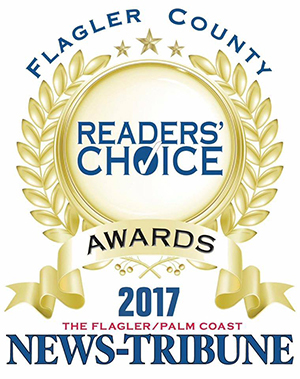 Thank you for voting us your favorite Pool Builder and Pool Service in the Flagler/Palm Coast Readers' Choice in 2017. At Raszl Inc. Custom Pools and Spas, our goal is to not only help you design and build your dream pool, but to make the process easy and enjoyable for you. In fact, we offer six months of complimentary pool service for every new pool that we build to help ease the transition. We are a full-service design/build company with a wide range of experience in the custom pool and spa industry. We have been proudly providing our pool building services in Palm Coast, St. Augustine, Flagler Beach, and Ormond since 2003. We are a licensed pool builder CPC 1457815. Raszl Custom Pools specializes in working with home builders. 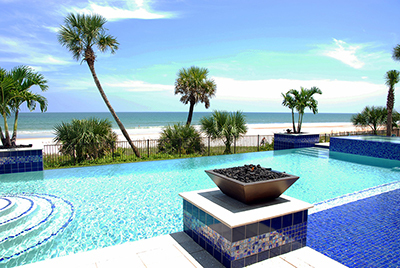 We have exclusive relationships with several new home builders in the Palm Coast area and experience working in tandem with them to create your new pool while they create your new home. We can help you with all phases of new construction, pool service, equipment repair and replacement, as well as partial to complete pool and deck renovation. In addition, we can assist with the upgrade of your pool and surrounding areas, through custom landscape and lighting packages both in and around your pool area, custom summer kitchens, cozy fire pits, poolside grottos, spa additions, and much more. We will help to make your Palm Coast pool and spa area not just an extension of your house, but the most popular place in your home!